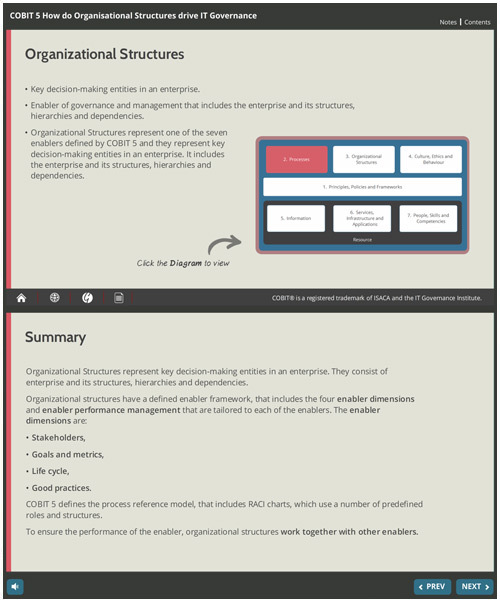 The COBIT 5 framework includes seven enablers of IT governance. Enablers are factors that influence whether something will work, in this case, governance and management of enterprise IT. Organizational Structures are one of the seven enablers, therefore this presentation focuses on this enabler and how it drives IT Governance.